In the beginning of October 2016 we had the pleasure of organising two days of activities for a large Swedish construction company. Since the Scandinavians love the outdoors (in any weather) we decided to go for a hike. As the group was rather large, 150 people, with different fitness levels, we had to divide it into 3 smaller groups, all lead by expert naturalistic guides. The departure and arrival points were the same for everyone, making it a little bit tricky to find three different routes. However, with the excellent research of our guides, we made it happen. They all departed from the hotel, in three different directions, and after a two hour walk they reached their destination; a restaurant on the heights of the lake. After a lovely lunch with breathtakling views they had the afternoon free before dinner. The second day was full of adventure It started out early in the morning with a buffet of activities to choose from: Mountain biking, race biking, kayaking, sailing, trekking, Vespa tour, cultural excursions etc.. Each activity accompanied by our expert guides. After the morning activities it was time for lunch in the hotel before the other activities could start. 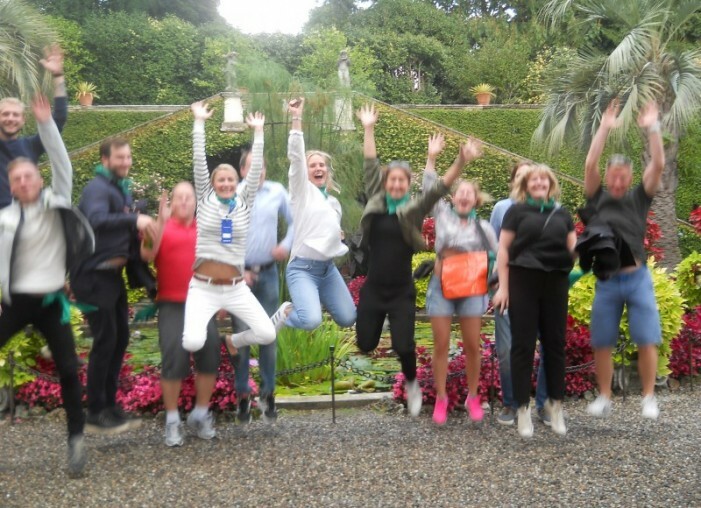 The afternoon was dedicated to team building in the form of a treasure hunt on the Borromean Islands. The client wanted the teams to move around independently so we gave the 10 different teams a boat with a captain, an itinerary with times to follow, questions to answer, challenges to face and a digital camera – and they were off! On each island there were operators to control the activities and to organise the different challenges. The teams got a deadline for when they had to return to the hotel, and once arrived, they had to perform one of their extra challenges: a rap song! The scores were counted and the winner was announced during the aperitif at the beach club they had reserved for the evening. In the end the client was given a USB key with all the pictures of the day.